Store cleaning supplies, towels, and other utensils right by your Alape Bucket Utility Sink! 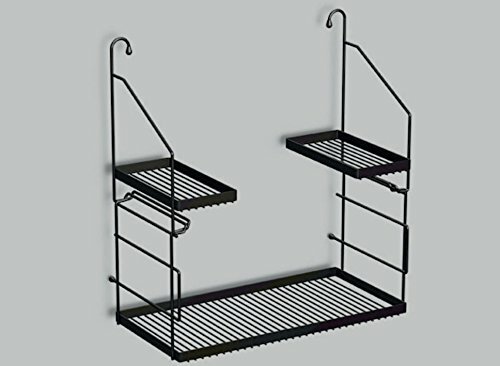 This shelf / storage caddy pairs perfectly with Alape utility sinks. The matte black powder coated finish blends perfectly with the dark navy blue edging on your Alape bucket sink. 20.35 in. x 21.96 in. x 10.63 in. If you have any questions about this product by Bucket Sink, contact us by completing and submitting the form below. If you are looking for a specif part number, please include it with your message.